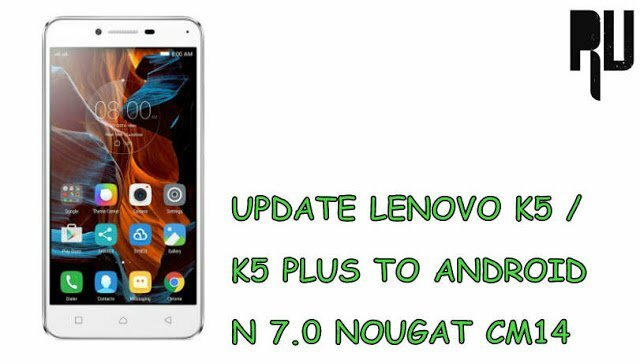 How to Update Lenovo K5 / K5 Plus to Android 7.0 Nougat CM14 ROM. 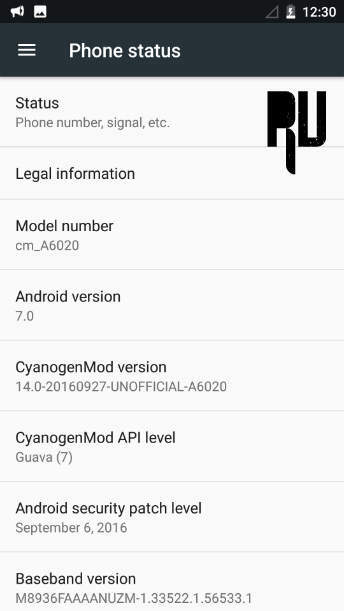 Update Lenovo Vibe K5, Vibe K5 Plus to Android N 7.0 Nougat Using Cyanogenmod 14 . 1 Update Lenovo Vibe K5, Vibe K5 Plus to Android N 7.0 Nougat Using Cyanogenmod 14 . 1.1 Install Android N 7.0 Nougat CM14 in Lenovo Vibe K5 / K5 Plus . 1.1.1 How to Update Lenovo Vibe K5 to Android N 7.0 Nougat . Do you want to update Lenovo vibe K5 and K5 plus to android n 7.0 nougat ? If yes then you are right place . Today we are here with the Guide to Update Lenovo K5 Vibe and Lenovo K5 Plus to Android N by using Cyangongenmod 14 custom rom . Lenovo Vibe K5 and K5 plus are new smartphones and also they are one of the very first smartphone of lenovo which got CM14 rom . 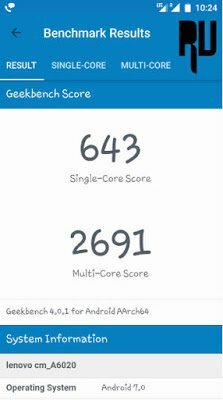 Both Lenovo vibe K5 and K5 plus share same screen, Camera, Battery and the only difference we noticed was the Processor . Vibe K5 comes with Snapdragon 415 and the K5 plus comes with Snapdragon 617 processor , Both the devices come with android Lollipop 5.0 android version out of the box . 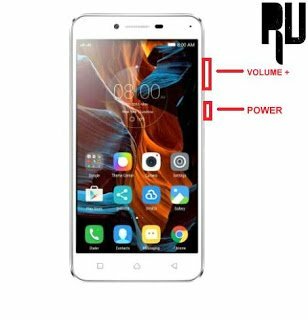 So today we are here with the Guide on How to Update Lenovo vibe K5 and Lenovo vibe K5 Plus to android 7.0 Nougat . Install Android N 7.0 Nougat CM14 in Lenovo Vibe K5 / K5 Plus . Based on Android n 7.0 nougat . The rom is Already rooted . Related : How to Update Lenovo ZUK Z1 to Android N 7.0 Nougat . 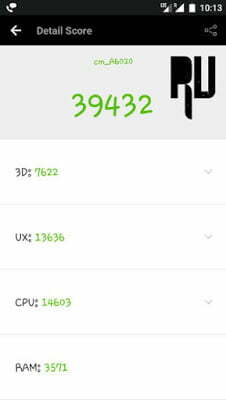 This custom rom is only for Lenovo K5/K5 plus , Make sure you dont flash it on any other device because it may brick your device . There should be more then 70% battery in the device . TWRP recovery is required to flash the update . Make Sure there is more then 4Gb of space in your smartphone . You may also Like :- How to Enable Otg Support on Any Android Device . How to Update Lenovo Vibe K5 to Android N 7.0 Nougat . Make sure you download the Rom in your Laptop or Computer . Now connect you Vibe K5 to Pc . After connecting Copy the CM14 rom and place it in the root of sd card . Now disconnect the smartphone . Now you have to Boot Your Lenovo K5 to Recovery mode . To boot In recovery mode you Have to Press volume up + power button together . 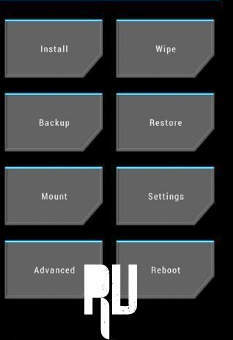 After entering in recovery mode you will see many options on the screen . First of all you have to Tap on Wipe . Now You have to make a backup of the current system and files . The backup process will take some time , However it is always recommended to make backup . As soon as you choose Nougat 7.0 Update.zip file for Lenovo K5 the recovery will ask to confirm installation . Just tap on yes install Now . The updating procedure will take around 5 minutes to complete and as soon as the process gets completed you will get a notification saying ” CM14 flashed successfully ” . So this was our guide on How to Update Lenovo K5/K5 plus to android 7.0 Nougat .